Back in September of last year I wrote a post titled “Hacking Wild Turkey.” It was a fun little piece – all about experimentation and blending. Today’s post is a similar adventure. 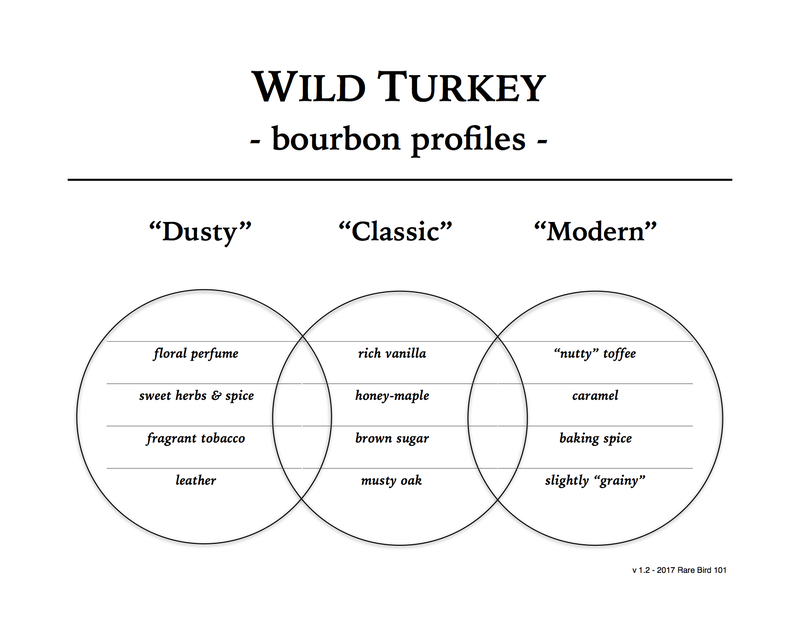 I’m always on the search for new Wild Turkey flavor profiles. Purchasing single-barrel expressions is one way to get there (arguably the best way in terms of quality). But buying single-barrel expressions can get rather expensive. And once you pop the top, what you have is all you’ll get (for better or for worse). Blending, on the other hand, offers flexibility on a much wider scale – from budget to premium. More often than not you’ll fail before you succeed – but when you finally do have a winner – well, it’s truly special. Today I’ll be sharing blending ideas not covered in my post last year. Whether you appreciate these or not, I hope they inspire you to try your own Wild Turkey blends at home. Remember – there are no rules and you’re never “wasting” whiskey. Whiskey is made to be consumed and enjoyed. If you’re enjoying the blending process, you’re not wasting a drop. Also, there’s no reward without sacrifice. If you never take the chance, you never experience the outcome (miserable or marvelous). But before you start emptying your favorite bottles to make the ultimate Wild Turkey whiskey, consider trying one of these blends first. I think you might just come away happy. Looking for a way to spice up that bottle of Longbranch? Well, unless you’re a fan of mellow pours, I’d imagine you likely are. Here’s a simple blend I recently discovered that may just have you reaching for that Longbranch bottle more frequently. The first interesting thing about this blend is its net proof – almost 101 proof exactly. With Longbranch being a reported 8-year bourbon, and Rare Breed a batch of reported 6, 8, and 12-year bourbon, you’re bringing the overall maturation closer to a medium. Second, each bourbon shines in different phases. I find that Rare Breed dominates the blend’s nose, while Longbranch makes its presence known (primarily in mouthfeel) on the palate. The finish, on the other hand, is a graceful unity of the two with elements of each sharing the spotlight. It’s certainly more mellow than Rare Breed alone, yet notably longer and spicier than Longbranch. Overall, a flavorful, easy-sipping KSBW blend and one I highly recommend for anyone with a bottle of each whiskey already on hand. As many of you know, I’m not the biggest fan of Wild Turkey Forgiven. It’s not bad; it’s just a bit young and under-proofed for my preference. That said, you like what you like and if you happen to like Forgiven, there’s no problem with that at all. I even posted a little hack for you last year if you’re running low and don’t want to search the secondary for another bottle (not that it’d cost you a super high premium, but anyways). Traditionally, I’ve had little luck when blending Wild Turkey straight bourbon and rye whiskeys. I’ve tried 50/50 Wild Turkey 101 bourbon & rye, 50/50 Russell’s Reserve Single Barrel bourbon & rye, and several other 50/50 combos with various expressions and ratios. Many times I’ve tried, and many times I’ve failed to reach a “this is a remarkable” blend. It seemed Wild Turkey straight whiskeys were best mixed with their relative types – bourbon with bourbon, rye with rye. Thankfully, a Turkey friend from across the pond sent me a mystery sample that completely changed my way of thinking (thanks again, Lee). After one long night of writing, I poured the curious sample and found I liked it quite a bit. I knew it was Turkey, but which Turkey was it? The answer shocked me. It was a blend I’d tried numerous times before with little success … 50/50 Wild Turkey 101 bourbon & rye. Maybe not knowing what I was tasting made a difference? Maybe it was timing? Maybe it was attitude? I can only guess. But all said and done it accomplished one important thing – Wild Turkey bourbon & rye blends can work. Fast forward to this past week and I tried a new Wild Turkey bourbon & rye blend that I feel is magnificent. You may or may not agree (and that’s fine), but regardless of what others think this will be a blend that I’ll keep around moving forward. I call it “Rye-deemed” and I honestly think you’ll love it! *If you don’t have Master’s Keep 17, try Master’s Keep Decades. You’ll get a bit less oak, but a little more ABV (105.7 proof) in exchange. Hello layers of spicy sweetness! Say what you will about this particular blend, but you’ll have to agree with me on one thing … it’s harmonious. While the previously discussed “Longbreed” blend has tasting phases where each expression stands out over the other, Rye-deemed smells, feels, and tastes as a well-executed blend should – with the sum of all parts working together to create something extraordinary. But don’t take my word for it. Roll the dice and give it a try! Infinity bottles … We’ve all tried them; we’ve all been mildly impressed. When I first started experimenting with infinity bottles years ago, there was no real thought process. I’d take the last sip or two of a bottle or sample and add it to my infinity blend. Simple. It didn’t matter what type of whiskey. Proof and maturity weren’t factors of interest either. If a whiskey reached its end, into the infinity bottle it went. And what was the result? A batch of confusion that never really went anywhere. Sure the were moments of hope, but never a feeling of confidence or accomplishment. What was I doing wrong? Is this how all infinity bottles taste? Stick with one type of straight whiskey (bourbon with bourbon or rye with rye). Avoid finished whiskeys (such as Master’s Keep Revival or Sherry Signature). Once you add a finished whiskey, you can’t “roll back” the profile. Avoid low-proof whiskeys, such as Wild Turkey 81 KSBW or KSRW. One exception is Master’s Keep 17, which I’ll discuss shortly. If possible, try to keep the overall maturity balanced. This is more applicable to bourbon blends rather than rye blends. While a majority of what you’ll add will fall between 6-8 years, try to increase the maturity ever so often with 10+ year expressions. Keep the proof well-above 100. I mean, this is Wild Turkey after all. But seriously, keeping an infinity bottle over 100 proof promotes greater texture and complexity. Besides, you can always dilute with water in your glass post pour. While I encourage you to create your own set of infinity bottle guidelines, following (or at least hovering near) the ones I’ve listed above should yield some satisfactory results. The main thing is to take your time and have fun. Taste as you go. Stay critical, yet keep an open mind and don’t give up. I’m positive you’ll eventually turn out something noteworthy. And when you do, always remember to share with friends! The final topic I’ll touch on today is which expressions I most often employ in my blending experiments – and – how and why I use them. While this list is far from all-inclusive, it showcases the bottles I incorporate most often. Thankfully, the majority of them are standard expressions that can easily be found at retail. Wild Turkey 101 (or 101 Rye) – This is a good place to start for any whiskey blend as it offers quality core notes with moderate maturity. Wild Turkey Rare Breed 116.8 – If you ever feel your blend is falling flat or lacking vibrancy or “kick,” a little Rare Breed goes a very long way. Russell’s Reserve 10-year – If you ever need to bring the heat of your blend down but don’t want to sacrifice maturity, consider adding the 90-proof Russell’s Reserve 10-year. Wild Turkey Master’s Keep 17 – This is in many ways my secret weapon when it comes to blending. Master’s Keep 17’s fragrant oak and layered spice can really take a so-so blend and make it extra special. And while it’s only 86.8 proof, it’s a near-batch-proof 86.8 (I believe the actual batch proof was 88.4, if I recall correctly). My point is, you’re not adding water. You’re adding a full-flavored mature bourbon whiskey instead. How is that ever a bad thing? Oh, and if you can’t find Master’s Keep 17, Decades is an appropriate substitution. Russell’s Reserve Single Barrel (private selections) – The beauty of Russell’s Reserve Single Barrel, especially private selections, is their wonderful profile variance. Each private selection in your collection has something unique to offer. Refer to your tasting notes and choose wisely! Thanks for reading! I hope you found this post informative or at least started you thinking about the possibilities that await you in your cabinet. So what are you waiting for? Grab an empty bottle or decanter and blend away! Maybe begin with sample bottles before committing to larger batches. It’s all up to you. There are no rules. But no matter what you do, stay focused and keep it fun. Cheers! Very interesting. I have yet to try blending but plan on it soon. Not Wild Turkey but I read a interview with former Four Roses master distiller Jim Rutledge saying that sometimes by blending a mediocre whiskey with another mediocre whiskey that you could create a exceptional one! Maybe I’ll get lucky! Ok I am interested in blending more. As part of the blending process, time is a factor. Have you toyed around with different times it takes for the whiskey flavors to actually come together? I blended larceny and Maker’s cask a while back and noticed the profile changed over time. At least to my untrained palate. I’ll be honest, I’ve never noticed much difference in letting it sit. It may just be that the bottle is being sipped down (more O2). That I *have* noticed a difference in. The only WT blend I’ve ever done was by blending equal parts CGF, “donut”, ’94 Rare Breed, and ’07 WTKS. It came out pretty well but I don’t know if the sum was better than the parts going in. Doubt they would be with those already phenomenal pours!